Buffalo Bill’s Columbus Adventure The showman left his mark on a Nebraska town site and saloon. 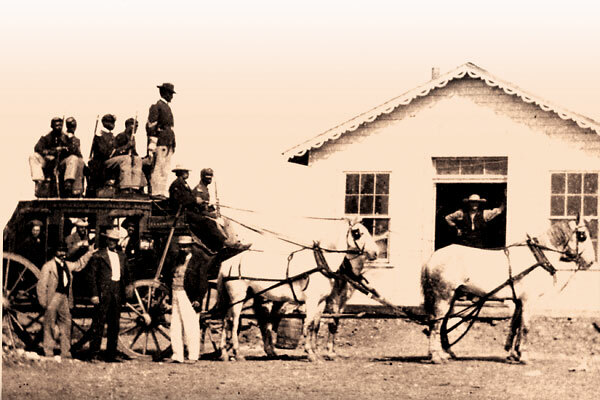 In May 1883, the population of the small frontier town Columbus, Nebraska, swelled by 73 people when several passenger cars and six boxcars of equipment and animals rolled into town. The entourage was in the employ of William “Buffalo Bill” Cody and was preparing to embark on an adventure that would last three decades. Columbus was chosen by Cody as the rehearsal site for his newest venture because it was the residence of his good friend, Maj. Frank North, a former leader of the famed Pawnee Scouts. And so it was at the Columbus fairgrounds, with Cody among old trusted friends, that for a brief spell, Buffalo Bill and company practiced their original show. Following long days of rehearsal, the showmen made their way south to 11th Street to wash dust from parched throats with some liquid relief at Bucher’s Saloon. 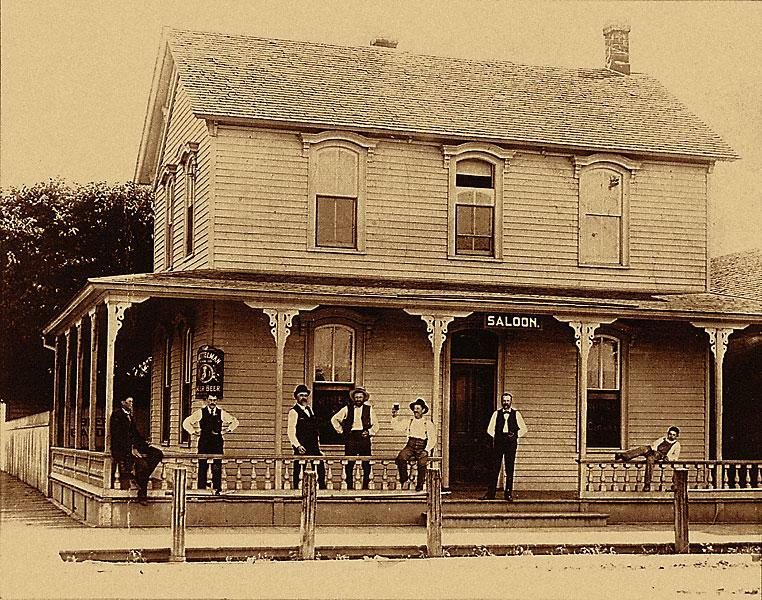 Built in 1876 by Joseph Bucher of Switzerland, by 1883, the saloon was run by his younger brother William, who bought out Joseph’s interest in ’78. William gladly served up cigars and refreshments for Buffalo Bill and his Wild West troupe. 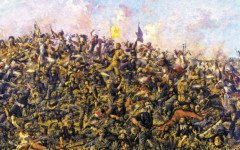 Finally, on May 10, the residents of Columbus and the surrounding area were treated to the first full dress rehearsal for what was billed as “The Wild West—Hon. W.F. Cody and Dr. W.F. Carver’s Rocky Mountain and Prairie Exhibition.” Cowboys and Indians re-enacted scenes from the Old West. A stagecoach being chased by Indians got out of hand when the barely broke mules bolted. The free exhibition delighted everyone, except the mayor and city council members of Columbus on board for the hair-raising stagecoach ride. Cody’s Wild West enterprise rolled out of Columbus, that May, a Western novelty that grew into a frontier legend. In Columbus, Bucher’s Saloon continued to sell cigars, tobacco and later, wine, shipped by the barrel from Joseph Bucher in California. 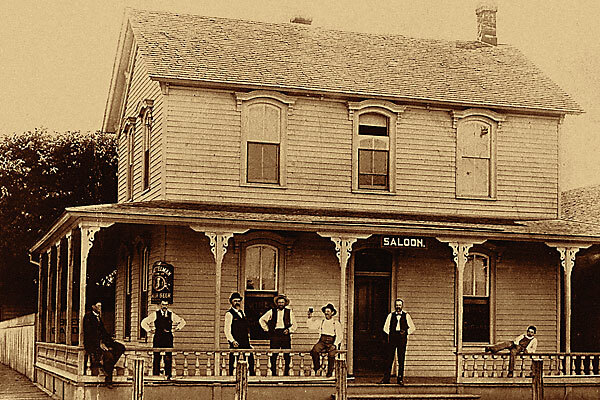 William quenched the thirst of his patrons and in so doing, his saloon earned its own place in Western history. 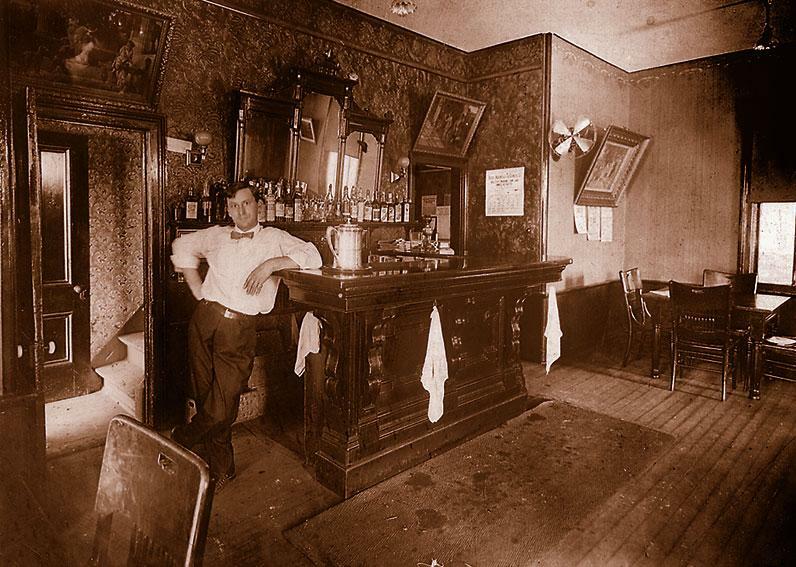 In 1903, William hired 17-year-old Louis Glur to work in the saloon. The hard-working Glur took over much of the daily operations when William became vice president of Columbus Bank. Most likely, Louis was behind the bar on September 7, 1909, when Buffalo Bill and his now veteran showmen stopped in Columbus at the end of the season to perform. An overflow crowd of more than 10,000 people from the area turned out by the hundreds on trains to catch a glimpse of the famous show. Cody also held a memorial service for his friend Maj. North, as well as original show members Fred Matthews and George Clother. Following the service at Frank’s grave site, Buffalo Bill, the assembled Indians in full paint and feathers, and old friends lined the bar at Bucher’s Saloon. Cody bought drinks for everyone gathered. In fact, the $1,000 bill that he slapped to the bar was the talk of Columbus for weeks. In 1914, Louis purchased the bar from Bucher and the name changed to, and remains today, Glur’s Tavern. It stayed in the family until 1978. In 1972, Glur’s earned the distinction of being the oldest continuously operating bar west of the Missouri still in its original building and location; in 1975, it was placed on the National Register of Historic Places. Brian Gaver operated the tavern from 1978 until 1992, when current owners Todd and Carrie Trofholz purchased not just a bar, but also a piece of history. This year, Columbus, Nebraska, celebrates its sesquicentennial, and Glur’s celebrates 130 years of continuous service. So if you happen to be in Columbus for one of many festivities planned throughout the year, be sure to step inside Glur’s Tavern. 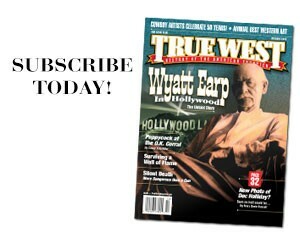 You’ll be stepping into true Western history. The Bucher Saloon in 1899 (above, from left) Louis Lutjeharms, P.F. Luchsinger, Emil Pohl, Henry Luers, Gus Plath, Proprietor William Bucher and Ernst Gassman. Louis Glur, 28, photographed in 1914, the year he purchased the saloon and renamed it Glur’s Tavern.